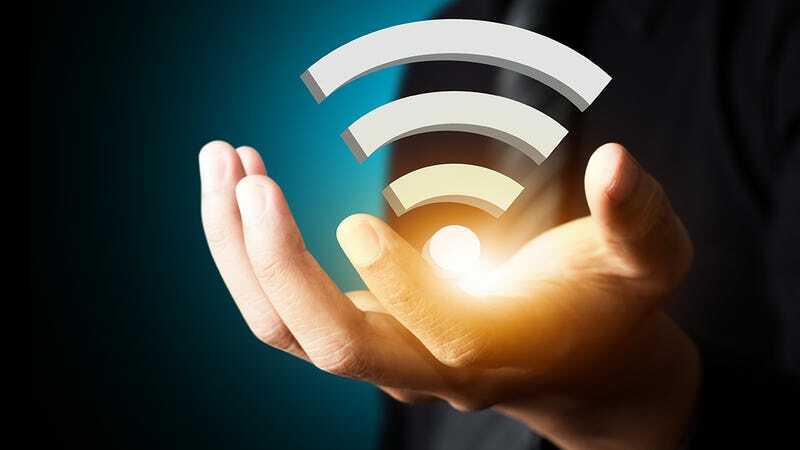 If you live in a particularly tall or wide house, or one with a complicated layout, then you might have problems with Wi-Fi dead zones where your high-speed wireless broadband connection just can’t reach. That can seriously hamper your Netflix binge-watching or Spotify streaming. You don’t have to settle for patchy coverage though, and there are several ways in which you can extend the reach of your Wi-Fi. Your available options here are going to depend on ISP you’ve signed up with to provide your internet and the hardware setup that’s currently in place. Some companies are more picky about customers installing their own hardware than others. Your best bet is to check with the ISP or browse through a related support forum to check, and what you can do will depend on where in the world you live too. Comcast, for example, provides a list of hardware its services can work with that you can use as a reference guide. If you’ve been on the same router for a while, your ISP might send you an upgrade free of charge. After all, if you’re paying for a particular speed, then it’s their responsibility to provide you with the equipment that gives you the best chance of getting it. It’s possible to really go to town if you don’t have anything better to spend your money on (and what’s more important than internet access? )—something like the D-Link AC3200 Ultra Wi-Fi Router will set you back around $250 or so, but you don’t necessarily have to break the bank. Check the specifications of your current equipment and see how much difference an upgrade is going to make. Replacing the antennas on your router is another option, though many of the new models from the last couple of years now use internal antennas and don’t have the necessary sockets to add your own. If you do have a compatible model or you buy a router with external sockets—check the supplied documentation with your hardware for details—then you can boost the wireless signal or change its direction. It may sound obvious, but moving your router is one of the most effective ways of improving the signal you can get around the home. Remember that most routers beam signal in all directions at once, so ideally you want your device floating somewhere in the middle of your property. If that’s not practically feasible, just get it as close as you possibly can. Today’s hardware devices do a good job of beaming out Wi-Fi signals, but they’re not perfect. Walls, floor, furniture, mirrors and metal objects all have a detrimental effect on the signal, so make some adjustments to the internal layout of your home if required. The newer your laptops, tablets and smartphones, the better able they will be to work with Wi-Fi at faster speeds over longer distances. Baby monitors, cordless phones and microwaves can cause interference too, and changing the channel used by your router can reduce this (delve into your router’s help documentation if you’re unsure about how to do this). Many routers offer a choice of using 5GHz or 2.4GHz radio bands; the former has more channels, so less chance of interference, but the signal range doesn’t stretch as far. It’s worth recommending a firmware update too. If newer software is available for your router model, then it can make a significant difference to the capabilities of the hardware. Check with the router manufacturer or your Internet Service Provider to see if there are patches available—on most models, applying the update is only going to take a few clicks. How well do you know the people living around you? Are they older residents likely to do the odd spot of web browsing and email checking? Or younger folk who probably love nothing better than getting multiple torrent files downloaded simultaneously? Depending on the answers to those questions, you might find in practical to share an internet connection with those who are living around you. If you’re in terraced housing or apartments, for example, you can have your router on the ground floor and your neighbor’s higher up. Of course there’s an element of trust here—it’s only going to work if you know the people next door well and they’ve signed up for a suitably fast connection speed—but you might consider giving away some of your bandwidth a small price to pay to get web access in the top room in the house. Think of it as having one large family split across two buildings with two routers to utilize and position them accordingly. If you both have speedy enough connection packages then bottlenecks should be rare, and by swapping passwords with each other you can double the chances of getting online at no extra cost. Even if you are best buds with the people living next door, you probably don’t want them sniffing around your files; make sure you keep control over what they can access on your home network once they have access to your router. The network settings on your computer will let you restrict what you share with other people, but this is perhaps not something to try if you suspect there’s a teen hacker living next door. There are two main approaches here: Extenders that simply repeat the original signal over a further distance (usually losing a lot of speed along the way) or powerline devices that use your home’s electrical wiring system to do the job of transferring bytes to and from your router. Of the two options, powerline networking is definitely the way to go if you can. For those of you who absolutely must take the repeater approach, all kinds of kit is available to fit your requirements and budget, and you can even repurpose an old router together with some open source software to do the same job if you want to. After a short setup wizard you’ll be ready to go, and you can use the same positioning tips that we mentioned earlier to minimize interference from other devices. There are also plenty of hardware options to choose from when it comes to Powerline networking. Some plugs provide a wired connection in the room of your choice, while others can create a Wi-Fi hotspot too; you’re going to need to do some research based on the setup you’ve got at home and what you want to be able to do with it. Getting everything up and running is usually very straightforward, and the configuration utilities you’re going to need will be included in the starter kit you buy. Linking two powerline plugs together is typically just a case of pressing two buttons, one on each device, to pair them. For simple web browsing, a repeater should be fine; if you’re streaming HD video and so on then you’re probably going to want to get hold of some powerline kit. As is normally the case, paying extra for decent quality equipment is going to be worth it in the long term, so stick to well-reviewed kit from the better-known manufacturers.